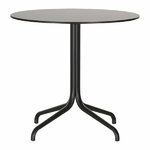 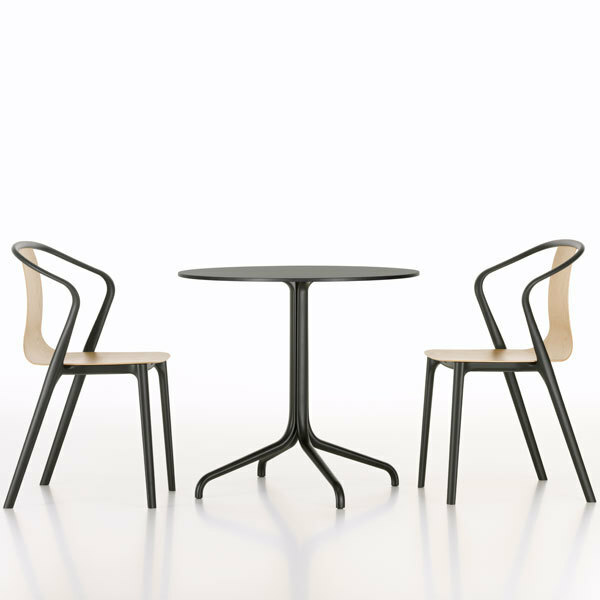 Vitra’s Belleville table is part of the furniture collection by the French designer brothers Erwan and Ronan Bouroullec. 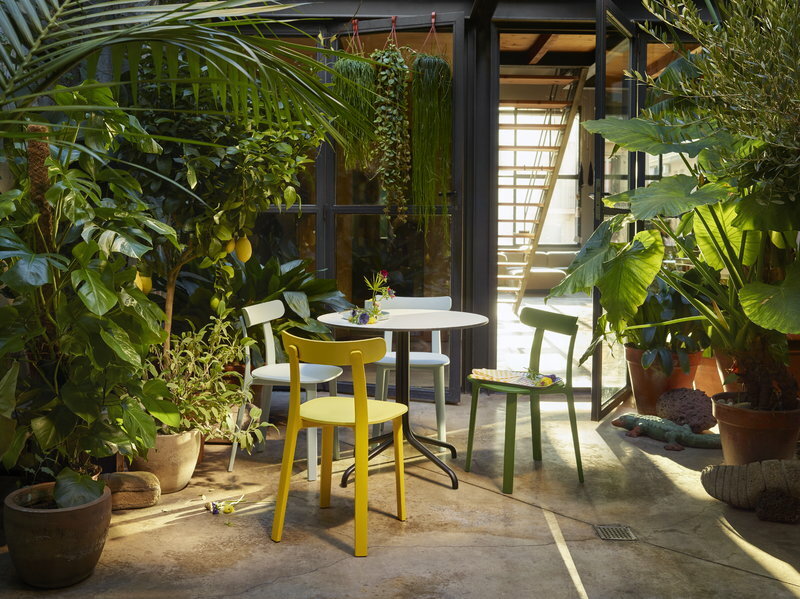 The collection got its name after Paris’ famous Belleville district, known for its vibrant restaurants and atmosphere. 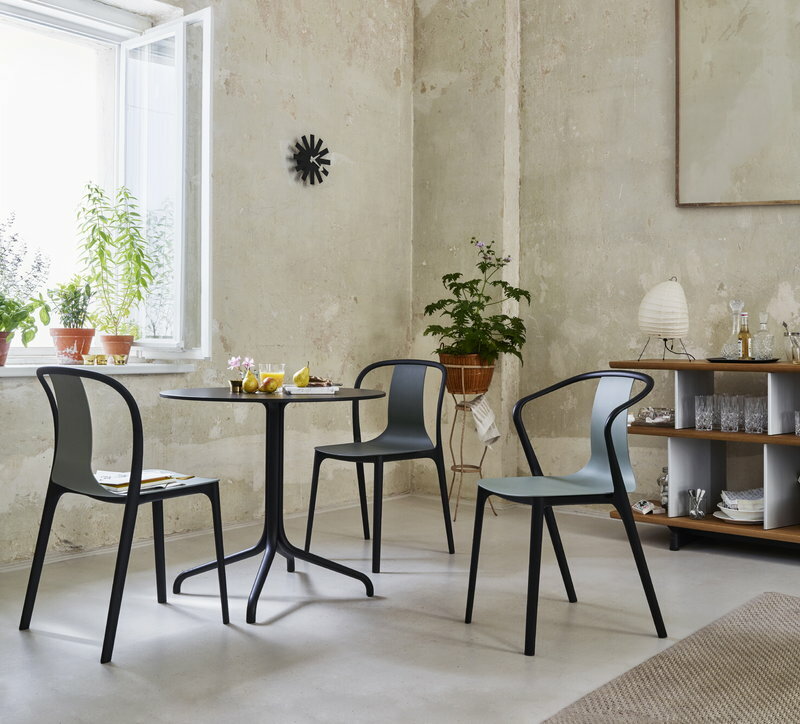 The attractive collection features furniture for both indoors and outside: the wooden furniture is best suited to indoors, and the plastic pieces can be used also in gardens and terraces. 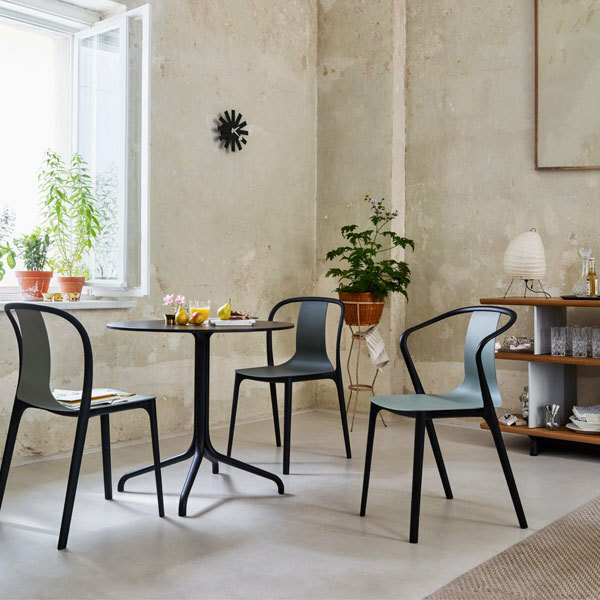 The beautiful, arched shapes of Belleville collection echo the ambience of traditional French cafés, but their simple design complements modern interiors as well.